Dataset for reported Research Payments for the 2015 program year. Research payment records provide the total value of a payment or other transfer of value made for research purposes to a particular recipient for a particular date. This dataset includes the most recent attested-to data for program year 2015. Open Payments, which is managed by the Centers for Medicare & Medicaid Services (CMS), is a national disclosure program created by the Affordable Care Act (ACA) that promotes transparency and accountability by helping consumers understand the financial relationships between pharmaceutical and medical device industries and physicians and teaching hospitals. 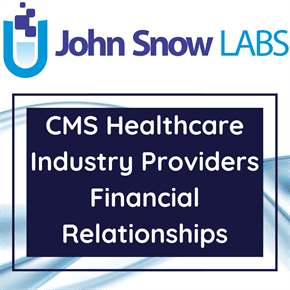 These financial relationships may include consulting fees, research grants, travel reimbursements, and payments made from the industry to medical practitioners. Each record includes identifying information for the applicable manufacturer or applicable Group Purchasing Organization (GPO) who made the payment, and identifying information for the recipient. Information is also provided for up to five principal investigators associated with the payment. Each record also lists, if applicable, up to five covered drugs or biologicals, or up to five covered devices or medical supplies, that were part of the research payment or other transfers of value. Each record now includes a Change Type indicator field. In General Payment, Research Payment, and Ownership/Investment records, the Change Type value indicates if the record is new (NEW), if the record is being published for the first time despite having been submitted during an earlier submission period due to the record not being eligible for publication until the current publication (ADD), if the record has been previously published but modified since its last publication (CHANGED), or if the record is being republished without change in the current publication (UNCHANGED). A record whose only change since the last publication is a change to its dispute status is categorized as a changed record.